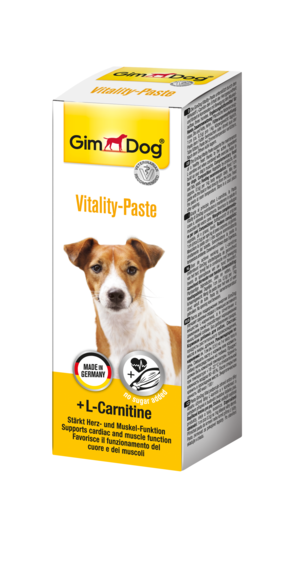 The GimDog Vitality Paste supports the maintenance of a healthy heart thanks to the active ingredient L-carnitine and when combined with exercise helps to build up your dog’s muscles. Feed 1 cm (approx. 0.5 g) per 1 kg body weight daily. Mix the paste with the food or feed directly from the tube.